Most American comics readers may not be familiar with the name or work of Boulet, but that may change in the near future. 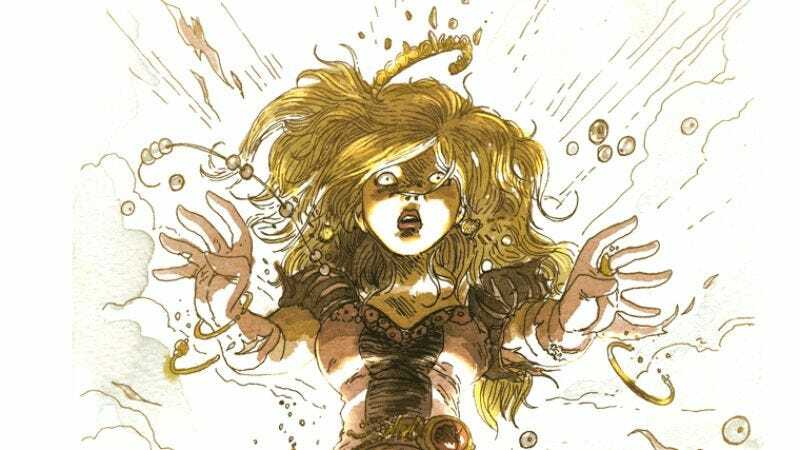 Boulet, the pen name for cartoonist Gilles Roussel, has become well known in his native France for his webcomic, Bouletcorp, which he’s been running since 2004, and has so far seven produced volumes collecting his webcomics. In the United States, Boulet may be getting some (much deserved) exposure soon with the impending release of Augie And The Green Knight—the children’s book that Boulet is illustrating for fellow webcomic artist Zachary Weiner (SMBC). Augie ended up raising $354,000 more than originally sought, with 800 copies of the book being donated to libraries across the country. In 2009, Boulet started translating his posts by posting them on an English version of his site (there is also a burgeoning Korean version as well). Most of Boulet’s comics are magical but realistic takes on everyday occurrences with the artist as the central character navigating various issues. Every now and then, Boulet departs from his traditional style and signature look to deliver longer pieces. “Darkness” is a comic he made in just 24 hours dealing with the both the seemingly supernatural and utterly mundane. Or “The Long Journey,” Boulet’s take on old video games and nostalgia uses the long scrolling bars of browser windows as part of the narrative. The most recent lengthy departure from his autobiographical pieces is “Kingdom Lost.” Originally conceived as “Maudit Royaume” (or “Cursed Kingdom”) for a French quarterly to which he occasionally contributes, “Kingdom Lost” is Boulet’s take on the “rescuing the princess” fantasy where the noble prince, helpless princess, and evil wizard are not what they appear to be. Boulet does his own translations, so there are some occasional typos and grammatical missteps, but the story is very engaging with his unique aesthetic style that’s cartoony while still retaining a lot of emotional depth and connection.